Blog > Facebook > What is The Best App to Use to Create Ads on Facebook? There are a lot of different apps and tools out there that can help you create, manage, run, and profit from Facebook ads. Which one is the best, though? With any field, something has to stand above the rest, right? If you’ve been a frequent reader of this blog, you already know what my answer is going to be. There’s no singular “best” tool for every situation. Some tools are great for small businesses, but fall flat when facing the needs of a large enterprise. Some tools provide all the features an enterprise needs, but are priced out of reach for small businesses. Instead of trying to recommend a single one-size-fits-all app, I’m going to give you a handful of the standouts and top performers in my experience. They’re all the best, just in different ways. 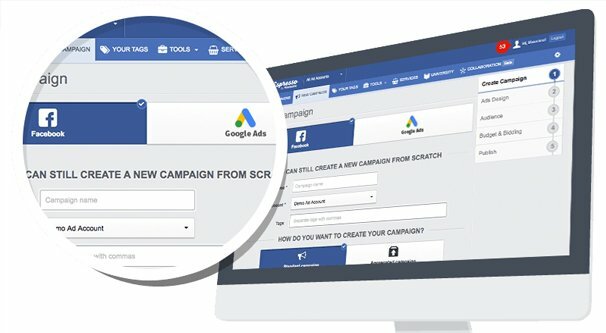 The basic Facebook ads manager can do everything you need done when you’re a newcomer to Facebook ads. It’s a little complicated. It doesn’t have crazy advanced features like automatic variations or AI-driven micro-optimizations. It also doesn’t cost you anything on top of the cost of running ads. 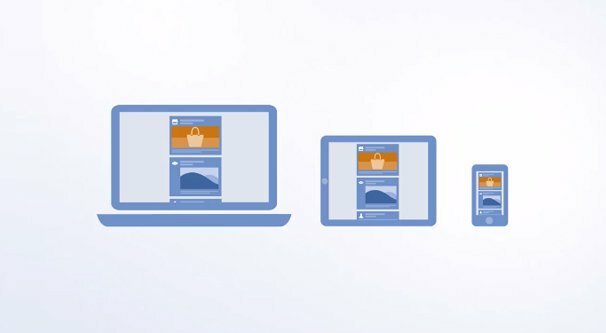 You can even manage your ads from mobile devices using their custom ads app. 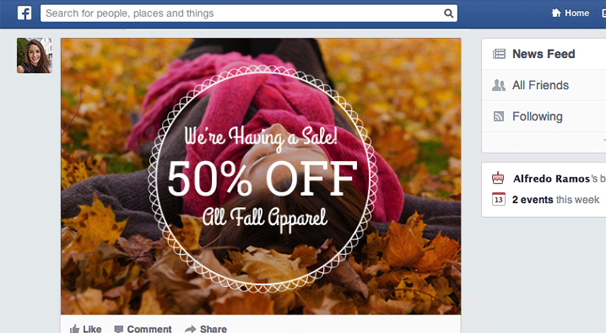 If the basic offering from Facebook didn’t do what it needs to do, Facebook wouldn’t offer it. If you’re coming to FB ads for the first time, I highly recommend just using the default experience for a while, maybe 3-6 months first. Why? It lets you know what the baseline is. You’ll learn how to start running and optimizing ads. More importantly, you’ll find personal pain points. “I wish I could do X” is a great thought to have; it lets you develop a list of your needs and desires for an ads app, which you can apply to looking through the rest of this list. If you’ve been using the basic ads manager for a while now and are looking for something else, great! Hopefully you can put together your own list of desires in short order. Once you have an idea of what you want, you can start looking for apps that fill that need. Power Editor is likely your first foray into advanced ads tools, and it’s a great place to start. The Facebook Ads Power Editor is a toolbar for Google Chrome, and it’s free to use and supported by Facebook. There are a few benefits to this arrangement. For one thing, you know it’s going to be fully compatible with anything you want to do involving your ads, because Facebook makes it. You also don’t have to deal with a monthly payment, higher ad costs, or third party support. What does Power Editor bring to the table? It can to everything the basic ads manager can do, but it rearranges things to make some tasks easier and to hide the basic options you won’t be using as an advanced ads manager. It also includes a variety of advanced ads features that are useful either for bulk editing, custom audiences, or unique campaigns. Power Editor is also where Facebook tests new features. When they’re considering rolling out a new type of ad format, it’s often given to Power Editor users first, to see how it performs. Once Facebook has done enough testing and confirmed that enough people like and are willing to use a new format or tool, they’ll decide if they want to roll it out to the wider ads-using audience. Unlike many of the apps on this list, Pagemodo is not solely focused on ads. 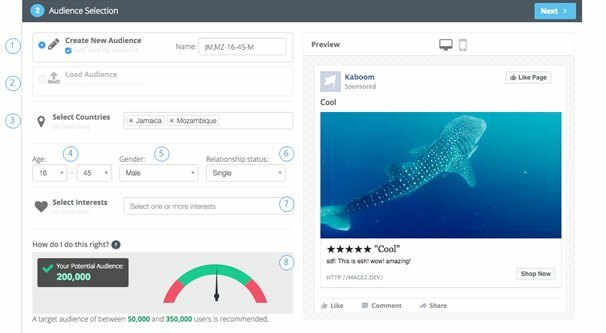 Where other platforms expand outwards, to encompass more ads on different platforms, Pagemodo expands inwards, to cover more Facebook-specific features. They help you with your cover photos, with custom tabs, with post scheduling, and with contests, as well as Facebook ads. That said, I wouldn’t call Pagemodo an advanced engine or a powerful platform. They mostly offer everything Facebook does by default, but with their own twist and some additional resources made available to you. Audience targeting is the same as it ever was, and they provide a library of royalty-free images to use in your ads. The goal is more simplicity over deep, advanced features. Other than the free offerings, Pagemodo is one of the cheapest options on this list, with their basic plan starting at under $7 per month, and even their agency plan running a whole $33 monthly. Now owned by Hootsuite, AdEspresso is a very powerful ads management tool that works with Facebook and Instagram ads – since they’re the same platforms – and now Google Ads. They’re an official Instagram marketing partner, which means they can access unique API features of the site other apps can’t. In addition to unique KPI-focused analytics – which you will find standard on most third party apps – AdEspresso offers a variety of useful tools and features for any marketer of any skill level. They offer simple split tests that you can generate quickly and automatically. They have a grid ad composer that uses Excel imports for bulk ad creation. They allow you to set promotion rules and automatically boost any new post your page makes. Perhaps the biggest selling point of AdEspresso is the ad optimizer. It uses a combination of advanced rules, customizable rules, and industry knowledge to optimize your ads automatically. It can adjust budgets and pause ads while they’re not performing up to par, without your input. AdEspresso is also an authority in the Facebook ads space, and as such they offer quite a bit of knowledge as well. Their blog is excellent, and their internal knowledge base offers case studies, courses, ad galleries for inspiration, and even live webinars to help teach you how to successfully run your ads. Pricing for AdEspresso starts fairly low, at $49 per month, though this plan caps you at $3,000 worth of ad spend per month and hides some advanced features. Qwaya is an advanced Facebook ads platform that offers a lot for marketers, though pricing puts it out of reach for the smallest businesses and entrepreneurs without a large enough budget. To a certain extent, most of the features Qwaya offers are versions of default Facebook or Power Editor features, taken to the next level. They have ad scheduling with more granularity than what Facebook normally gives you. They let you set up ad rotation with different ad variations. You can set performance rules that will pause underperforming campaigns so you don’t lose money. Of course, they have their own features as well. 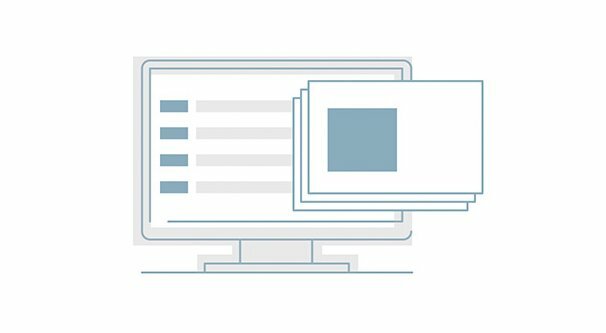 Ad and ad targeting templates let you get a campaign up and running or create split test variations quickly and easily. Split testing, of course, is a necessity. Personally, I also think their ad creation interface is a little easier to use than the default Facebook ad manager, though it has a little less in the way of a walkthrough and it doesn’t look quite as slick. The basic plan for Qwaya starts at $150 per month, which is why I say it’s not a good fit for people with budgets of about that much. One of the main advantages of Facebook advertising is that you can get started very cheaply, and setting yourself up with this high a fee right off the bad isn’t a great idea. On the other hand, if you have the budget for it, you can certainly do worse. 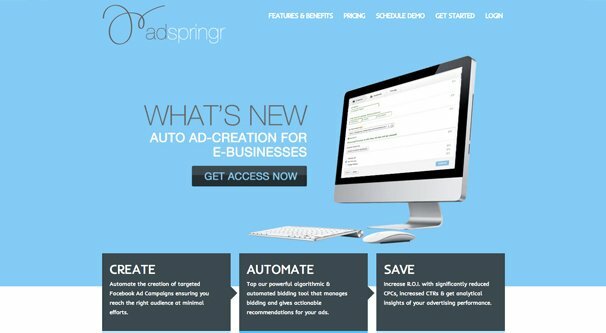 AdSpringr is an ads management platform focusing more on automation than anything else. Ad creation is streamlined with targeting options and, most importantly, bulk tools like ad cloning and target merge creation. A fringe benefit is that they maintain an asset library for you, including the ability to tag images so you can find them again later. One of the more powerful features is their optimization engine. They have an intelligent system for bidding adjustments and the ability to optimize for different campaign goals, as well as their if/then/else engine for programming your own rules. 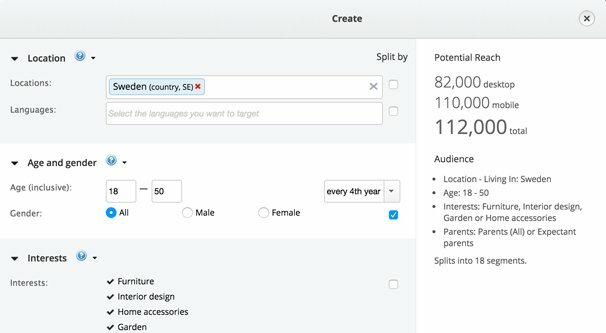 You can also use pre-defined templates for your ad targeting, or create your own custom target lists and clone them later. Pricing for AdSpringr starts at $400 monthly and is aimed mostly at mid-to-large sized businesses. They scale all the way up to global needs with custom plans for the big names in global retail and so forth. 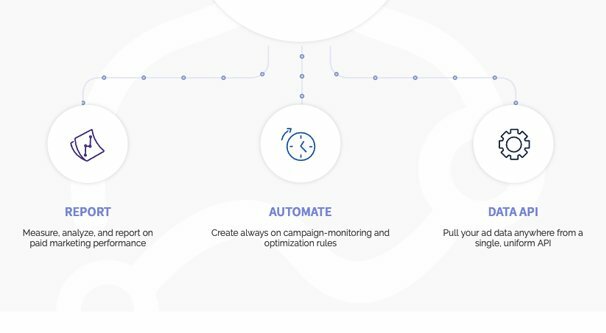 AdStage is a larger ad management platform with a bunch of integrations. In addition to running Facebook and Instagram ads, it can also manage your Google Ads, your ads on LinkedIn, Twitter ads, YouTube ads, and even Bing and Yahoo ads. This makes it a great tool for those businesses who are using multiple platforms to run similar ads. You can manage all of them from the same central hub, complete with data analysis across all of them. The major features aren’t anything you haven’t seen on other apps I’ve mentioned thus far. They have ad rotation and ad flighting, if that kind of strategy is your bag. It’s pretty easy to monitor what is and isn’t running with a visual timeline for your schedule. They also have automatic optimization rules that are quite powerful. Using if/then logic, you can set up a series of rules that help you get the most out of your individual campaigns. 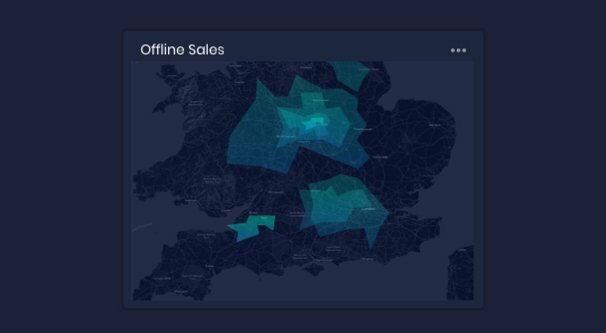 If you have other tools in use with your business, like a reliance on Google Analytics, or an installation of Salesforce, you can join them up with AdStage to import data between the two, for a deeper awareness of how ads are performing beyond what Facebook Insights can provide. AdStage is, of course, aimed at mid-sized and larger businesses with a lot of advertising needs. Their three platforms – Reporting, Automating, and their API – start at $500 per month each, though you can get all three of them for $1,050 per month as a package deal. This tool is not for the light of budget. If you thought AdStage was an expensive and valuable platform, just wait until you see what Driftrock has to offer you. Imagine all of the features you’ve seen from these other ads managers, and kick them up a notch or two. Their ad creation platform offers everything you might expect, but then adds on deep scheduling to coincide with TV show air times, retargeting options, and even the weather local to the user viewing the ads. They can sync up custom audiences from different platforms, including your website. They can track online to offline conversions in ways so clever I never thought of them. Driftrock works with specific industries and knows how they perform inside and out. They’re aimed mostly at large enterprises, though, so when they say “auto brands” they mean BMW, not Jim’s Used Car Lot. They work in education, retail, real estate, and more. As you might expect from a high-end platform, they integrate with a bunch of other platforms you might be using for other business tasks. They’ll link up with Mailchimp to help integrate with mailing list, or with Zoho to integrate with your helpdesk. Pricing is, of course, “if you have to ask…” And you do, indeed, have to ask. If you want to know how much it costs, you gotta fill out their form and acquiesce to a sales pitch in your future. So there you have it: a series of different ad platforms, focused on different levels of need and ad budget. I’m skeptical that anyone in the target market for Driftrock is reading this blog – though if you are, hit me up! – but I always like to cover all the bases. Those of you at home, what’s your favorite at manager? Do you have another free option that really does it for you? What about something that fits that mid-sized business range and won’t break the bank as you expand? Let me know below what you’ve found most useful.